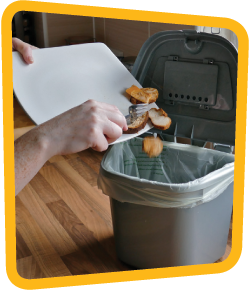 For all cooked and uncooked food waste. 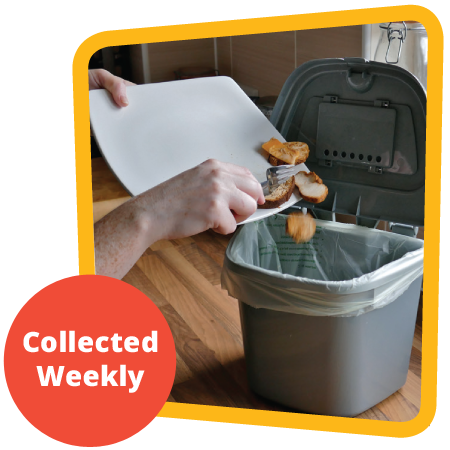 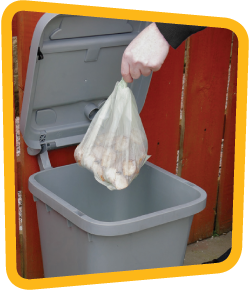 Remember to present your food waste at the kerbside contained within your lockable 23 litre outdoor caddy. 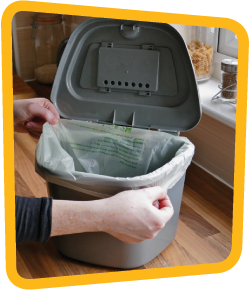 You should not put any plastic or compostable packaging or bags into your caddy, except for the liners provided by East Lothian Council. 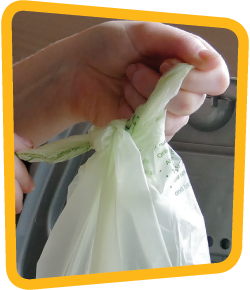 The second last liner in the roll includs a tag. 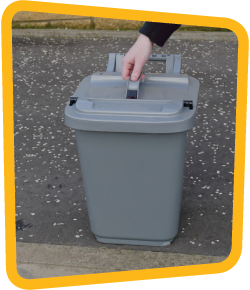 Secure this to the handle of the outdoor caddy when you present it for collection and a new roll will be left for you.